Julius Malema recently marched to Pretoria demanding “economic freedom” in his lifetime. The economic chaos in Europe continues unabated and it seems we are not out of the recession yet. 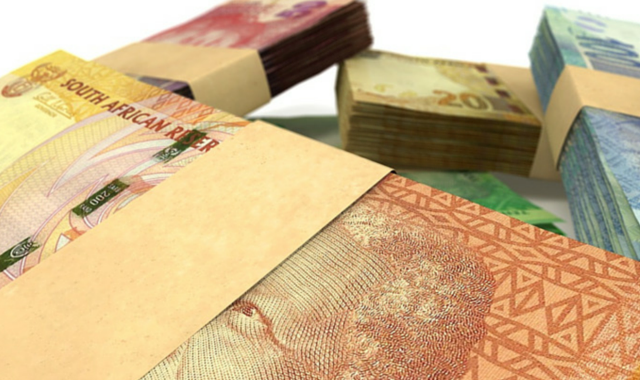 So I asked Hein du Plessis, Managing Director of DebtSafe for ten tips to financial freedom this year. Here are the tips, and you don’t have to march to Pretoria for this kind of freedom. Avoid taking on a new or additional credit card this year. Don’t be tempted by a convincing voice on the other end of the phone asking you to take another credit card with ‘so called’ benefits. Ensure that each financial decision you take this year is treated with the utmost respect and is well thought through. The way your finances are managed this year will determine your financial position next year. Financial freedom is achieved through planning. As tedious as this might sound, it will be worthwhile in the long run. Make a note of each and every expense during the month, including tips to the guard who watches your car, bank-charges, interest on your credit card, etc. Add up all the costs at the end month-end and determine exactly how much money you have spent. This will help you to make informed decisions in future and draft a budget that can be applied throughout your lifestyle. Plug the holes through which your money is draining out. Keeping track of your financial portfolio during the month can be stressful, mainly because you have overspent or had to spend money on an item you did not budget for. Always stay abreast of every activity in your financial profile. If you feel that you are in need of a new car, radio or even a new set of kitchen utensils, take a ‘time-out’ to think about the ‘need vs want’. Do your homework, analyse the situation and then make an informed decision after a 30 day ‘breather’. Taking this time out will allow you to see the situation objectively and without any emotion. There should be no ‘urgency’ when deciding on these items, even if it is a limited offer. Keep your money and loved ones separate. Most people go through financial difficulty due to their financial involvement with friends and family; whether this is due to a mutual business enterprise or whether you are asked to lend money to a relative going through a difficult time. Try and analyse your situation first and foremost: how will you be affected when agreeing to the proposal? Decisions such as these are usually emotional and are not approached realistically and objectively. You can provide help in other ways too –inviting those in need for dinner once a week or offering a lift to the shopping mall for a grocery ‘run’. Always remember what you would feel like taking legal action against family and friends. If you feel completely in control of your finances and already have a set of do’s and don’ts when it comes to your spending habits and it works for you, don’t change anything. Focus on maintaining your current state of affairs. The opposite is also true: keep doing what you have always done and you will get what you have always got. If it doesn’t work, it is time for change. If you have met a specific goal in your professional or personal life, reward yourself with a special treat other than a new piece of clothing or a day at the spa that can amount to exuberant fees. Spend time with your spouse, your children or old friends. If the word ‘I deserve’ is the justification for buying something, you don’t really need it. Some of the worst decisions are made by using those two words. Remember that such a reward will not last and the novelty will wear off very quickly. Chances are that the instalments will outlast the novelty. Be a conscious and cautious shopper. When you are buying bread and milk on a daily basis, ask yourself whether it is cheaper to stop at the local garage or whether stopping at the Checkers or Pick ‘n Pay will save you more money in the long haul. Most of us opt for the most convenient option, rather than the cheaper one. Never shop during peak times or at the end of the month when most retail outlets try and lure consumers. Start saving little bits at a time, even if it is less than 3% of your monthly salary, it is a good start and will encourage a healthy financial habit.